Are You Looking for a Royersford Replacement Window Contractor Today? For the past quarter century, Windows Plus has been helping Delaware and Chester County homeowners make the best choices when improving the beauty, efficiency, and security of their homes. Our main focus is to provide the largest selection of replacement windows, doors and siding to homeowners seeking just the right product for their home. We have guaranteed energy savings, superior brand name products, and free in-home estimates! Vinyl double hung windows save space, but they should also match the décor of your Royersford home. Windows should be placed in such a way that they can allow enough fresh air and ventilation. Thus, sufficient light can enter into the room. A professional Royersford replacement windows contractor can tell you whether a room would best be suited for these types of windows. Performing the installation yourself is only recommended if you truly understand the process. After all, a poorly installed window will not only take away from the beauty of the room but it will also allow heat to escape in the winter, cutting down on the efficiency of your Royersford HVAC system and costing you money. Our reputation for quality customer service and superior workmanship. Our excellent credit and good standing in the community. The thoroughness of the warranty we put on our work being in line with the industry leading warranty Norandex/Reynolds puts on their products. Windows can be coated with screening finishes of various kinds to block UV (Ultraviolet) rays and IR (infrared) rays. These screening finishes protect window treatments and furniture and carpeting from fading and reflect back some of the heating effect of the sun. Windows of any style, size and shape can be chosen in several colors of vinyl and can be painted any color if your choice of window material is wood. Windows can be purchased with various styles of dividers within the window and even with blinds attached in enclosed compartments or with blinds placed within the window itself. No matter what style or type of window you need for an energy efficient window replacement project, you will do well to look for the “Energy Star” seal first. These windows will meet minimum standards established by the Federal Government. 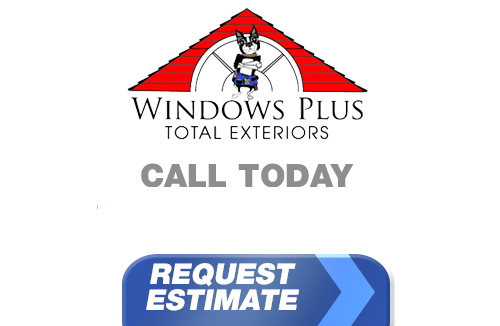 If you live in Royersford and you're looking for professionally installed Replacement Windows, Doors, Vinyl Siding or a great Roofing Contractor, call Windows Plus today at 610-572-4733 or complete our online request form.